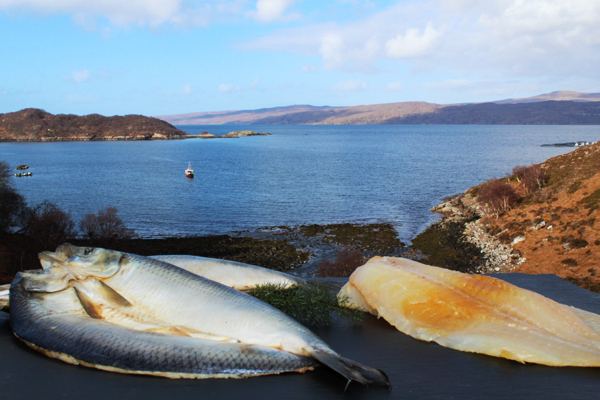 Applecross Smokehouse is situated on the North Coast road of the beautiful Applecross Peninsula at Kenmore, on the North Coast 500 route, overlooking Loch Torridon and the Torridon Mountains. If you have specific requirements and intend to visit the shop, please call us on 01520 755367, or e-mail us beforehand to avoid disappointment. If you are in the area, you can order online and pick up at the shop. If doing so, it is helpful if you give a pickup time on your order. 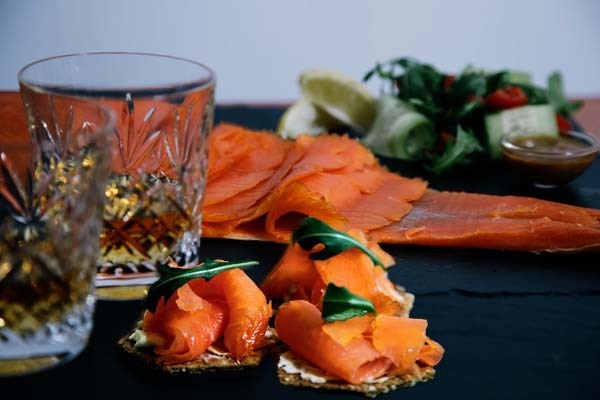 In the smokehouse we marinade our products to our own well proven recipe and smoke using whisky soaked oak shavings, ensuring we consistently produce outstanding smoked products with a distinctive and unique flavour. For cold smoking, the salmon or trout are cured in a marinade, then gently smoked for 24 to 48 hours at a temperature of less than 30C. The hot roasted salmon is treated as with the cold smoked, then cooked for up to an hour. 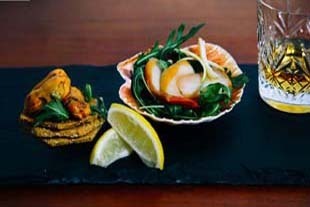 Our original hot smoked salmon fillets are brined, never cold smoked but cooked directly over the hot wood. To ensure that your order reaches you in pristine condition, everything is vacuum packed and despatched to you in insulated packaging and enclosed with a frozen gel pack. 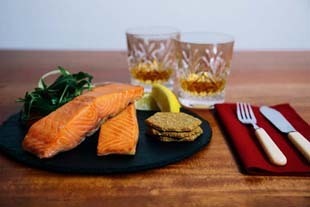 Cold smoked salmon and sea trout is despatched with a 20 day shelf life. Hot smoked salmon and sea trout is despatched with a 14 day shelf life. The shelf life is based on the products being stored in a refrigerator. They are suitable for home freezing for up to 3 months. Please browse the site and learn more about us and our products. 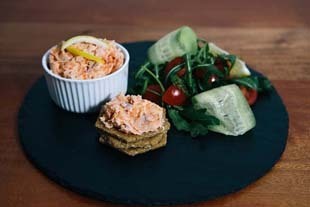 In addition to providing smoked salmon, sea trout, shellfish, pâté and cheese, we also provide smoked haddock, smoked kippers and oatcakes & sauces. 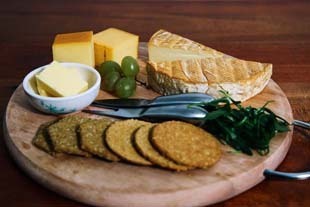 Unfortunately, we are unable to ship these items, but they can be purchased directly from the Smokehouse.